The winner for the 2013 Render of the Year Awards in the category of Best Character Modeling is back! Check out his latest work. How, then, can you too qualify for this award? Please have in mind that this award is reserved for those that are on par with or that excel top notch works published by artists and studios. If such work does not appear during a given week, this award is not being given to anyone. So please submit your best work to www.blenderartist.org or to the Member's Gallery of this site, or Contact Us to show where your work is available on the internet. It doesn't have to be a Blender render, internal or Cycles. A Vray render or any other render is fine as long as Blender was used as a part of your workflow. So, it is with great pleasure that www.BlenderNews.org introduces to you the winner of the Render of the Week Award for the week of November 28, 2016: Lucas Falcao. 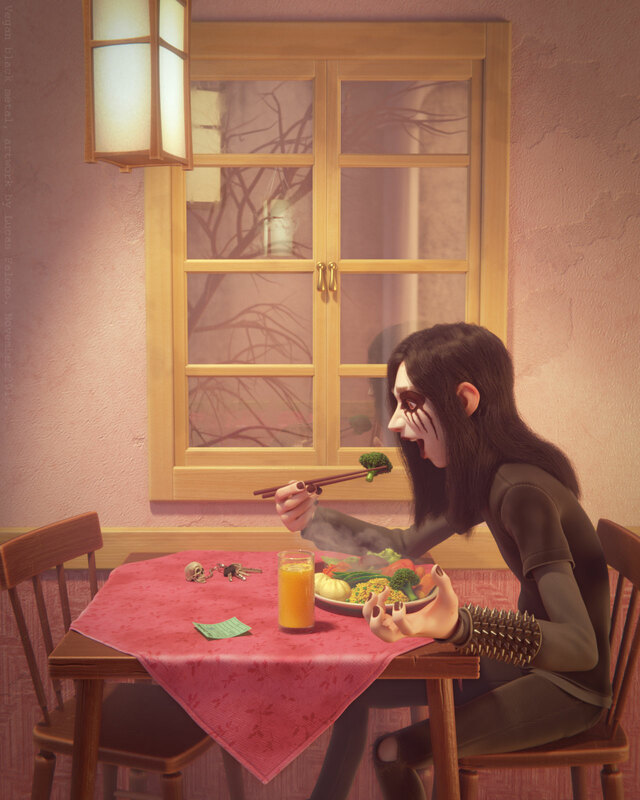 Title: "The Vegan Black Metal"
My name is Lucas Falcao, I'm a CG Artist who really like modeling characters and I'm a big fan of Blender. I've been working with 3D stuff since 2008 and this have been my job and my hobby ever since. 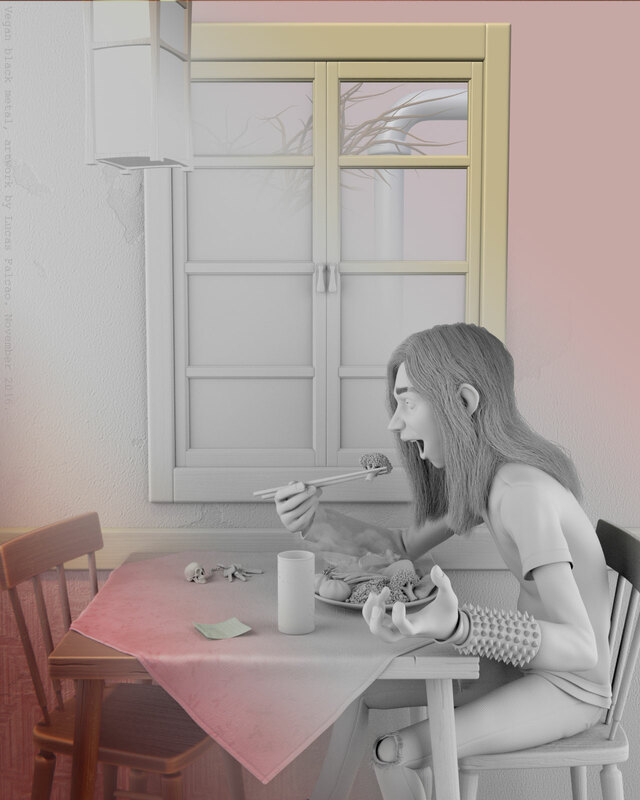 About "The Vegan Black Metal:"
The Vegan Black Metal was inspired from a personal experience, when I decided to become vegan and this illustration is about my feelings during this changing process. I felt kind of weird and angry to see the world from a new perspective and at the same time I felt awesome, because I started eating foods that I've never ate before, that was more healthy, taste amazing and I knew I was doing something better for the world and specially for the animals.